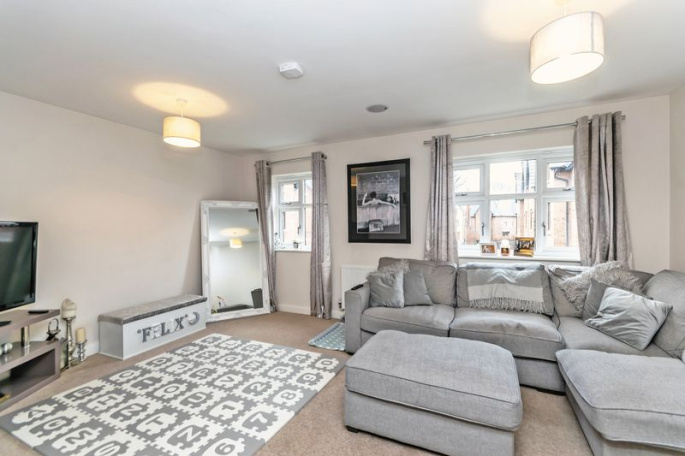 Located on the highly sought after Boatyard development in the heart of Worsley, this stunning semi detached town house is offered for sale with no onward chain. 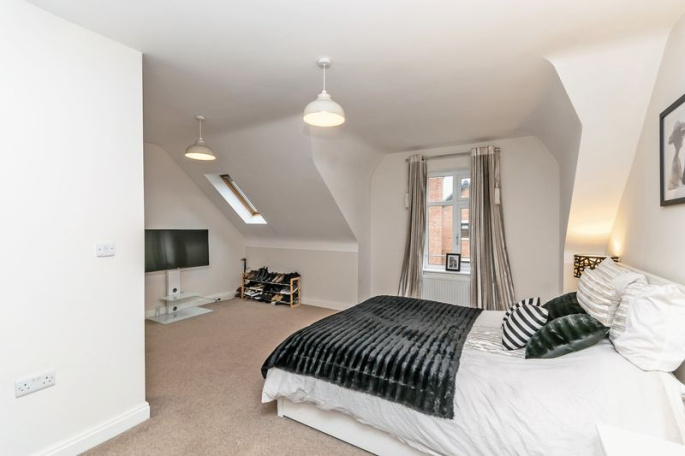 The property is in a wonderful location just moments from the quaint and pretty village with its chic cafes and restaurants and of course is ideally positioned for access into Manchester city centre. 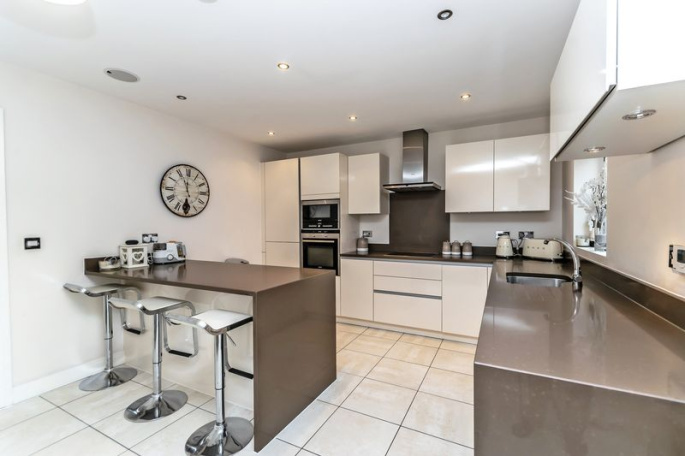 Spacious and immaculately presented with accommodation over three floors, you’ll love the feeling of space and the contemporary finish that comes with this fabulous property built just four years ago. 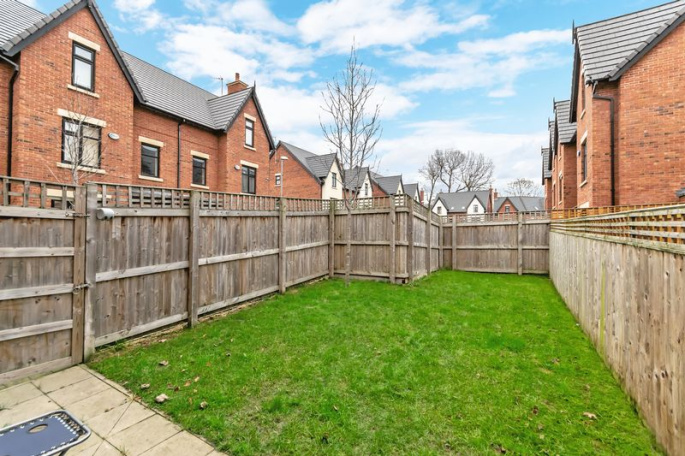 Outside space is well catered for with an easily maintained garden at the rear and there is an integral garage and off road parking to the front. 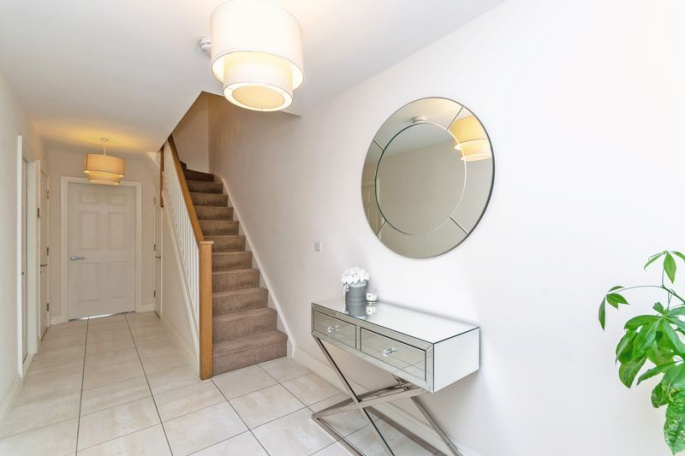 Through the smart black composite entrance door you’ll be impressed with the spacious entrance hall finished with an easy maintained tiled floor. 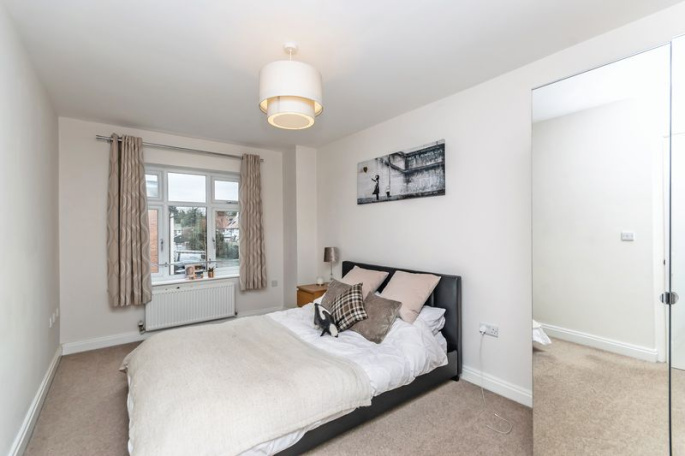 The ground floor has access into the garage from the hall, a spacious downstairs toilet and across the width of the house at the rear is a fabulous open plan dining kitchen with a fantastic range of units, Corian work tops and double doors opening into the garden. 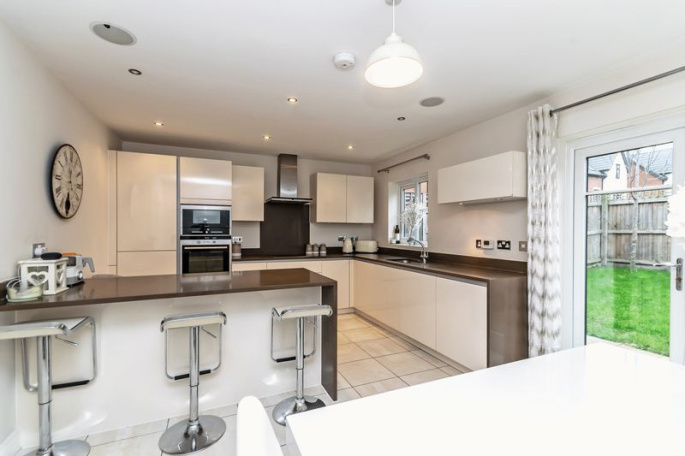 There’s an excellent fitted breakfast bar for enjoying a quick breakfast or late supper, lots of table space and a great range of integrated appliances. 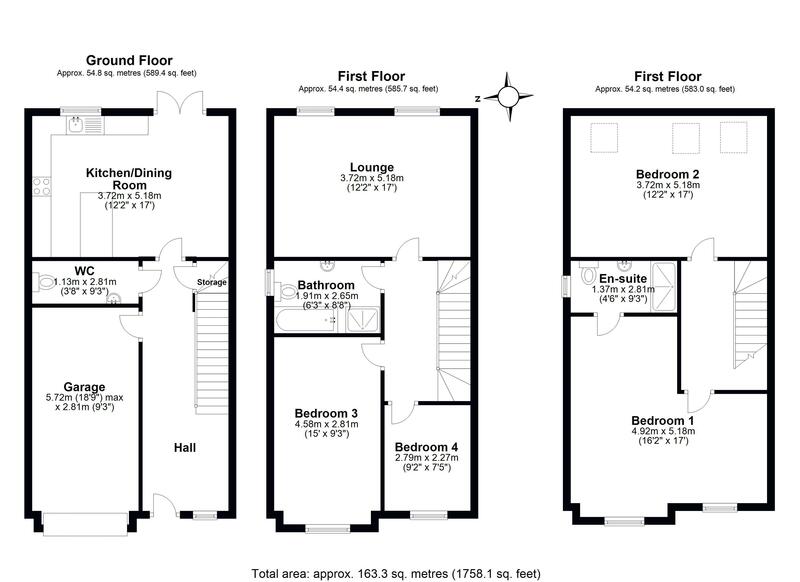 Upstairs on the middle floor there’s a lovely spacious, bright living room with two rear facing windows. 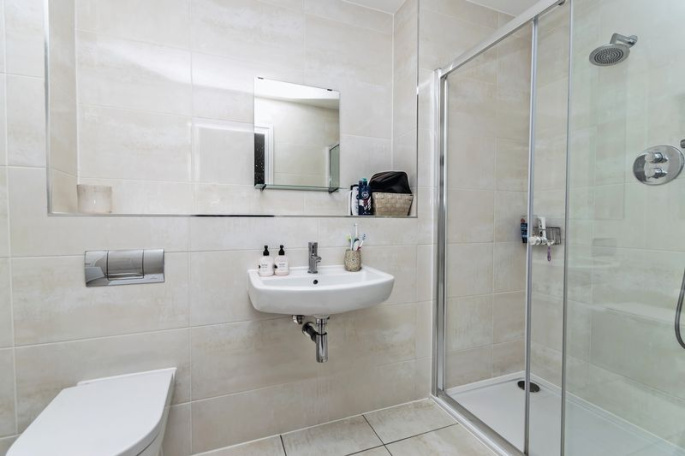 Two of the bedrooms are on this floor along with a luxuriously appointed bathroom which includes a separate shower enclosure. 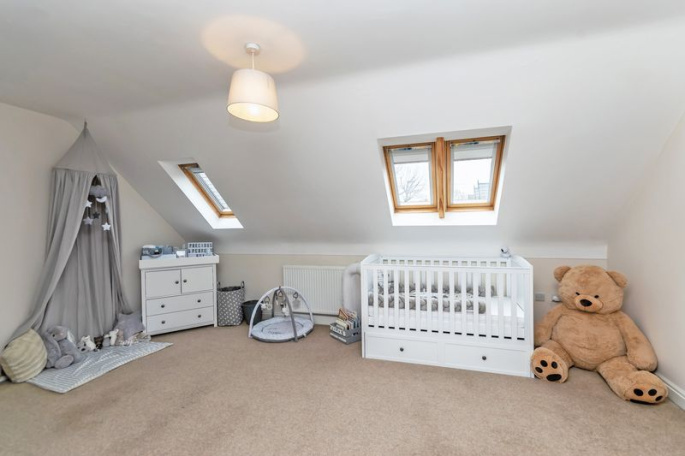 The top floor has two further big bedrooms including a fabulous master with luxurious en suite and the other with three Velux sky light windows. To the front there is an integral garage with power, lighting and access into the house. 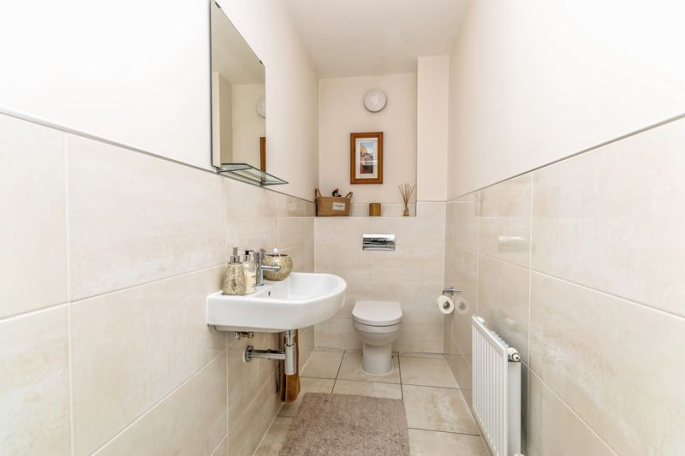 At the rear there is an easily maintained, enclosed garden with paved patio adjoining the rear of the house and gated access from the side. 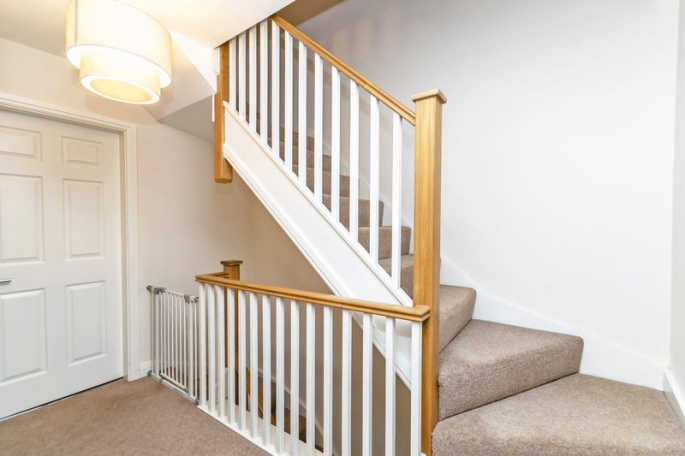 The property is in the catchment area for several excellent schools including the Ofsted outstanding rated Broadoak Primary and Bridgewater which is a private school offering places from nursery through to sixth form. 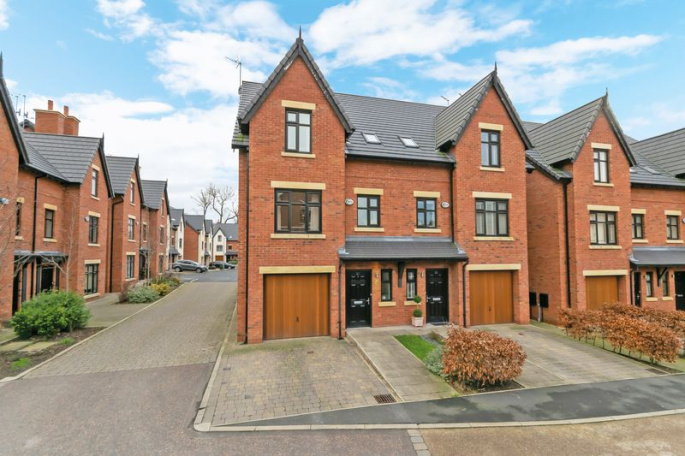 Worsley has excellent public transport links including bus and shuttle services. 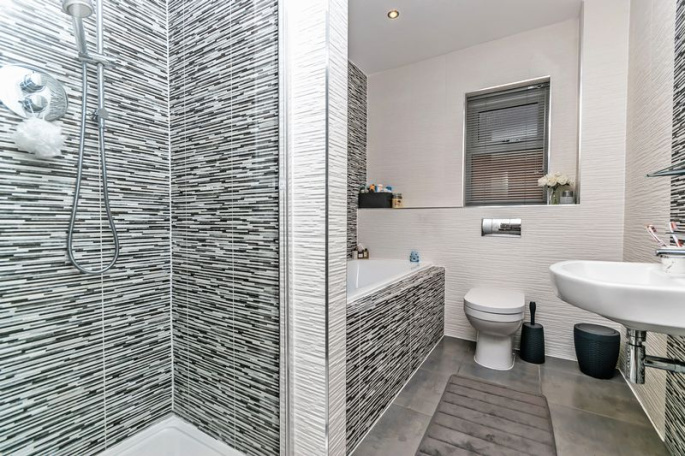 The property is well positioned for access to the M60, M61, Trafford Centre and Manchester Airport. The East Lancashire Road is also closeby for links to Liverpool and other areas outside of Manchester.